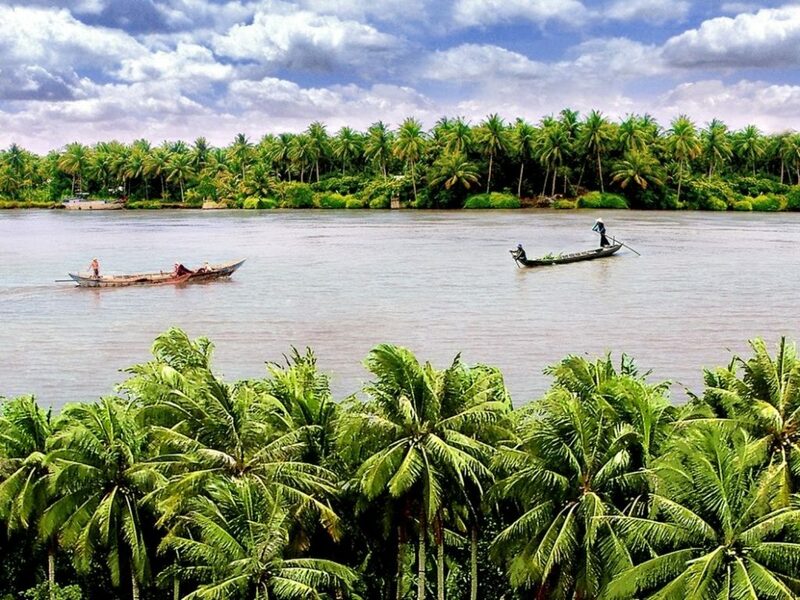 In Mekong Delta, along with gorgeous rice paddy field and fertile fruits gardens, there are plenty of must-visit destinations, including Ben Tre coconut candy land. 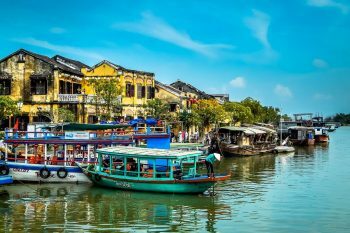 So here are the top 4 famous tourist attractions in Ben Tre you need to visit in your life! 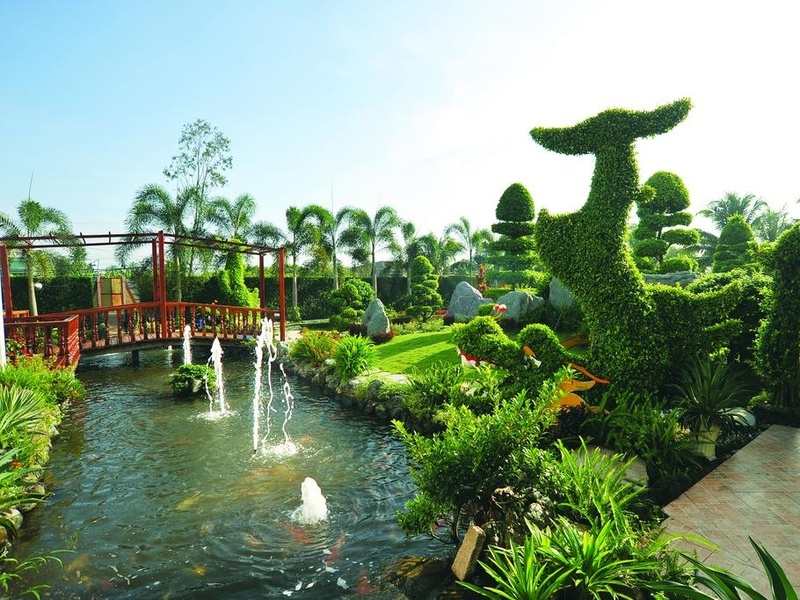 Forever Green is located in Phu Khuong Hamlet, Phu Tuc Commune, Chau Thanh District on an area of 21ha. 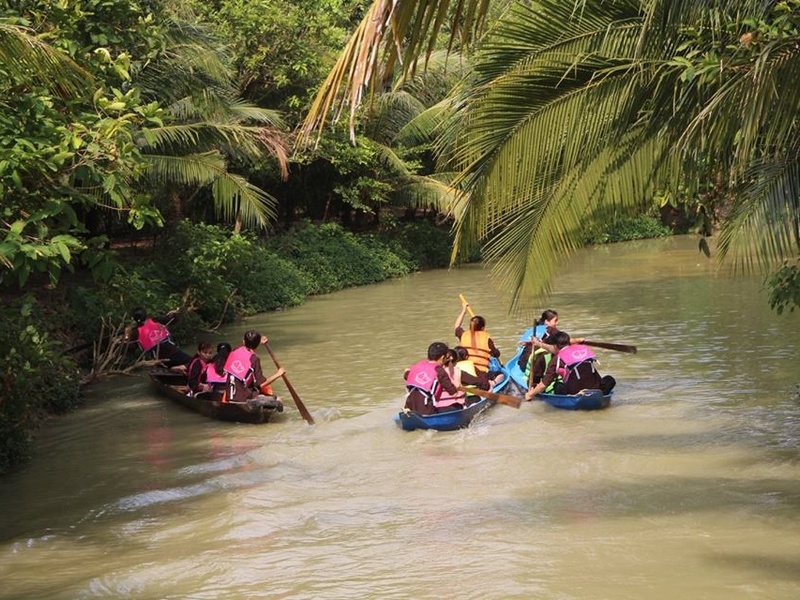 The resort has not only a wide space that makes all the most luxurious resorts in Vietnam to jealous, but also a lot of attractive items, I’m sure you will never get bored staying here when coming to Ben Tre coconut candy land. Forever Green boasts comfortable hotel, bungalow, restaurant, spa, as well as swimming pool, karaoke, local music, performing arts. 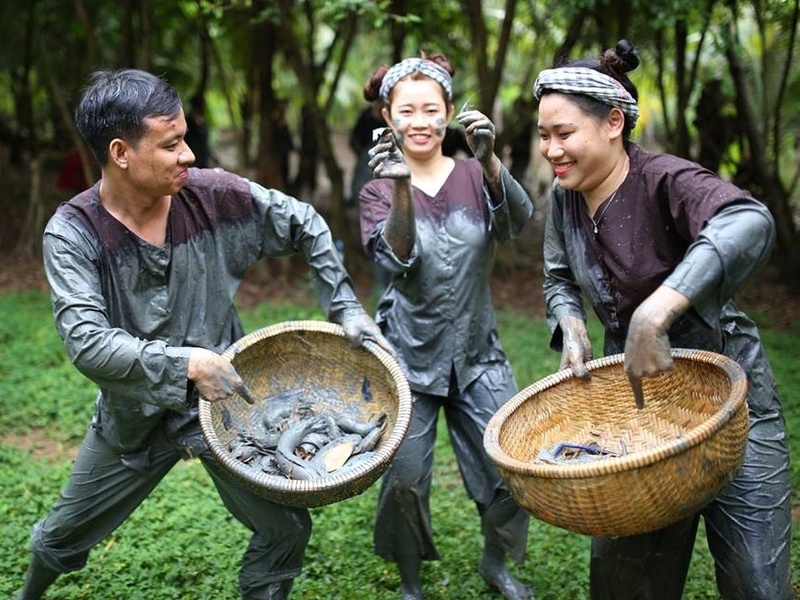 In addition to the rest zone, the resort also offers dozen of interesting services such as fishing, yachting, fruit picking, folk games, camp fire, village discovery, boat trip to see fireflies at night. 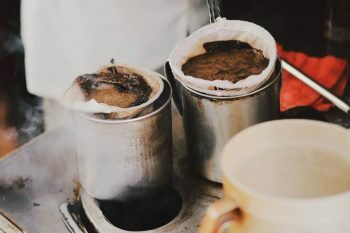 Lan Vuong features charming and poetry sceneries beside amazing activities, which is suitable for young groups to relax, enjoy the extremely cool and open space with orchard, sweet fruit, flowers along with delicious food. 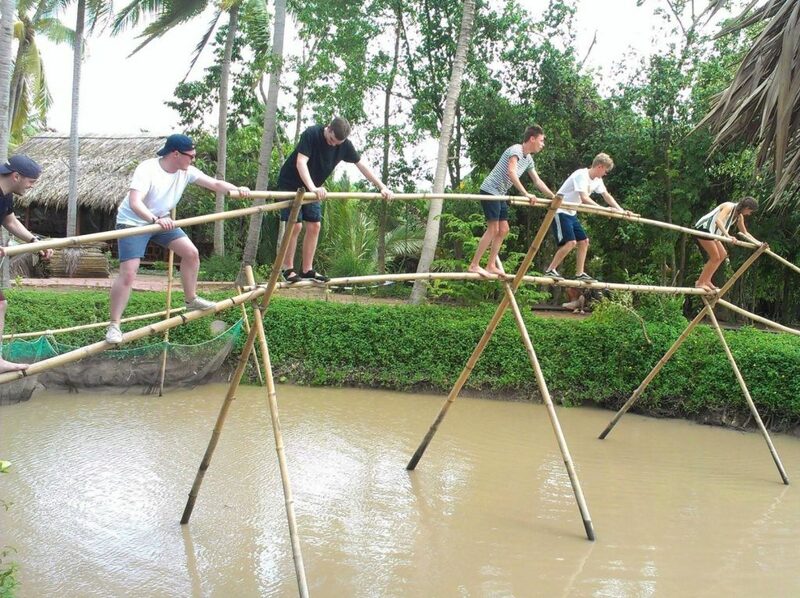 Especially you will get your hands on the funny games – balance on the rope and the monkey bridge, these ones are very very “hot” and attract a lot of young travelers who want to conquer strange challenges. 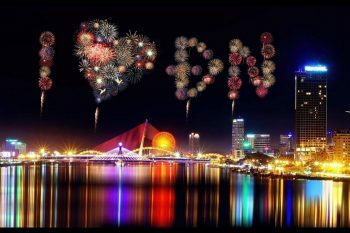 Besides, you may also love to interesting services such as fishing, boating, singing, playing karaoke, catching crabs and snails. 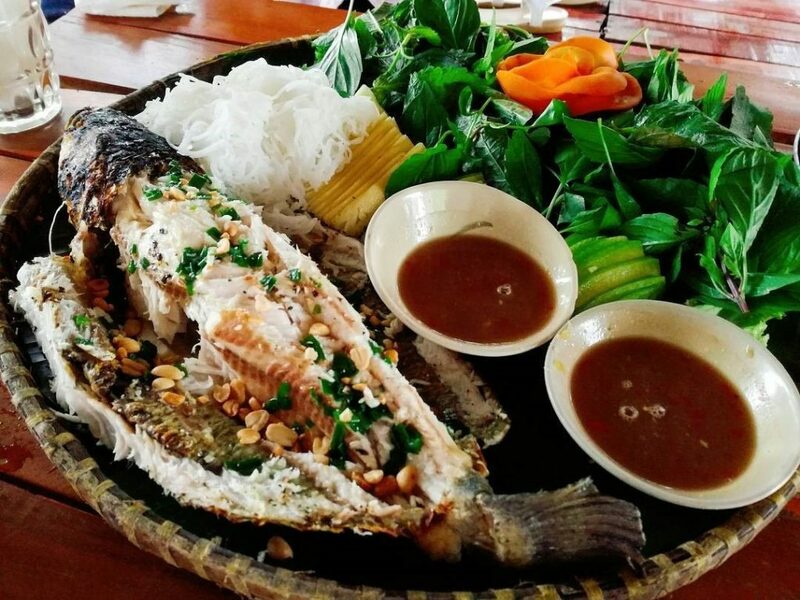 Travelers can enjoy the special and unique cuisines of the Southern Vietnam countryside. You can visit this resort for one day or camping overnight. It is possible to organize camp fire in Lan Vuong Resort to have fun, you can sing together through the night, sleep in the huts to have a whole new feeling – strange and exciting. 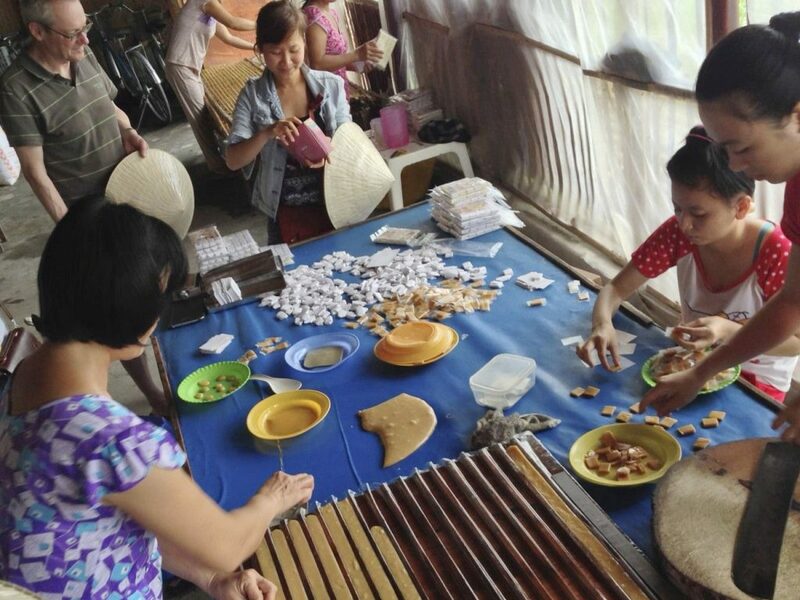 Popular a number of Ben Tre candy are also available here, so don’t miss a chance to taste them. 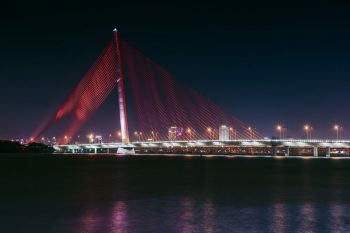 Lang Be is located near the Rach Mieu Bridge with the river view of the South West area and the atmosphere is very cool, boasting lines of well-known Ben Tre coconut, where you are immersed in colorfully cultural experience. This is a great spot to travel with buddies within one day. In the morning you can have meals, take photos, have rests, playing action games for the noon. However, if you want to stay overnight, it is okay. 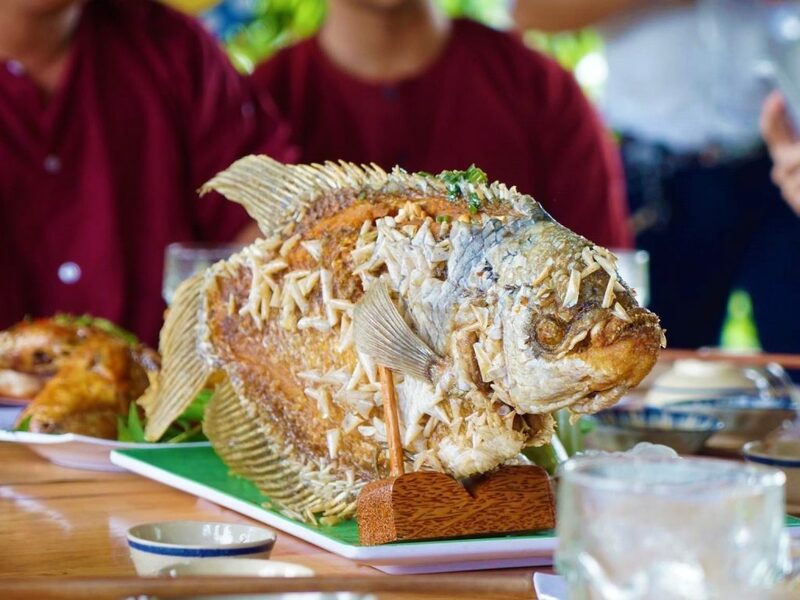 In Lang Be, you not only can enjoy the special cuisines but also explore many interesting games such as coconut boat ride, walking through the monkey bridge, riding bike through the bridge, catching fish, etc. Con Phung is just like a floating oasis on the Tien River. 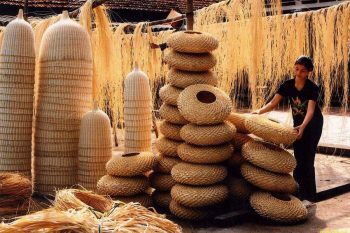 Con Phung Ecotourism Resort is located on an island in Tan Thach Commune, Chau Thanh District, which is very famous for Ben Tre coconut. It is one of the attractive destinations in ecotourism. 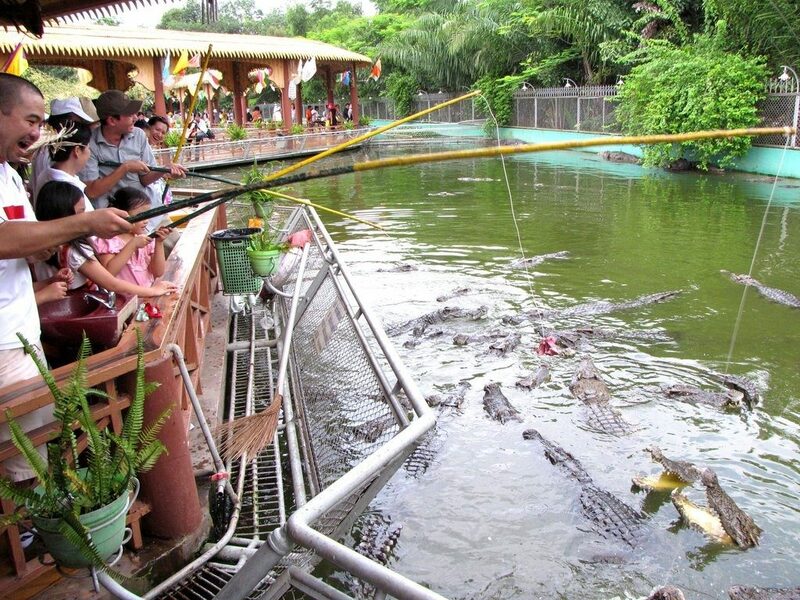 After visiting the scenery here, you can join the folk games such as crocodiles fishing, fishing, water ball game, etc. Con Phung is like a small western village of the Mekong Delta, if you visit Con Phung, you can enjoy not only the charming nature but also special cuisines of the Southern Vietnam, including Ben Tre coconut candy in various flavors such as durian, peanut and pandan, especially the making of candy would be a truly interesting experience.